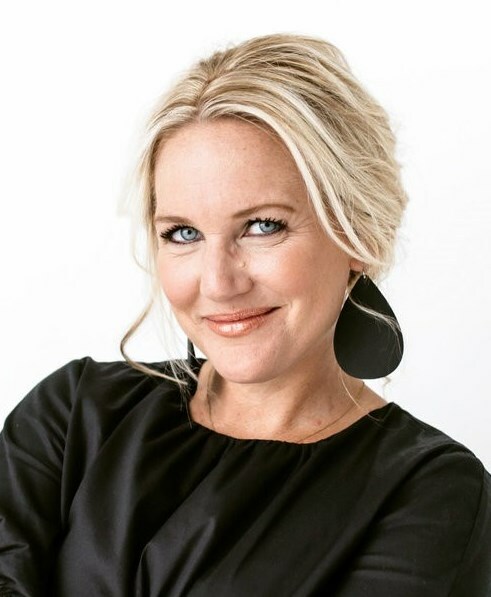 Award-winning designer, Ginger Curtis is an expert in home and commercial design with a passion for creating homes/lifestyles that are simple, creative and beautiful. Her relentless drive for excellence is seen in everything she touches. When she started her design firm, Urbanology Designs in Ft. Worth, Texas, she set out to create timeless spaces as well as a creative ones that were bold in the most simplistic way. 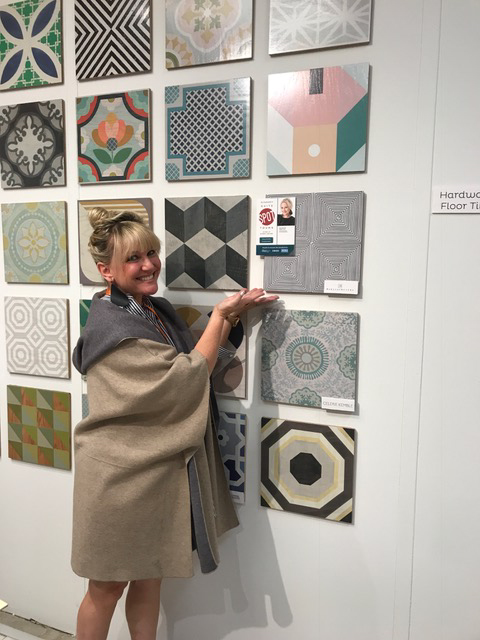 I am still reeling from the incredible Spring 2018 Market! 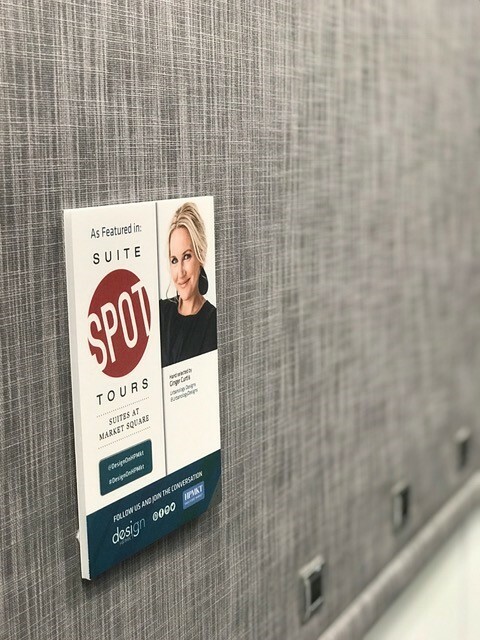 There is always something new and exciting to see in the Suites at Market Square and my visit in April was no exception. The Suites is a must-see for unique artisanal and design-oriented products. 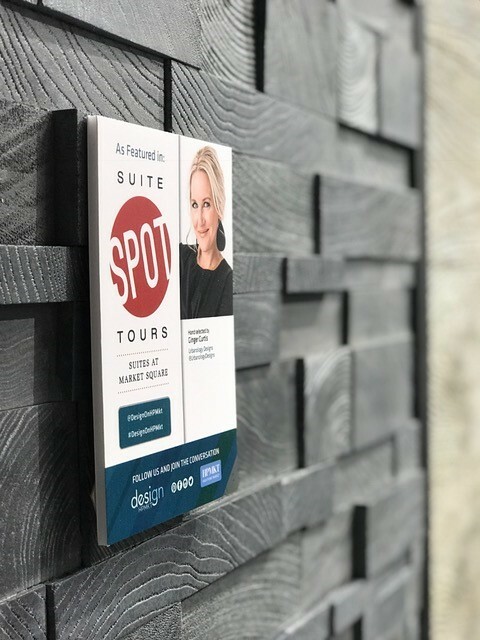 I was thrilled to be asked to lead a “Suite Spot Tour” and today I’m going to share about a few vendors that rose to the top. Throughout the tour I had my “good design” radar on and I was not disappointed. The unique designs we found were awe-inspiring….from traditional, transitional, modern and chic…nothing is left out. The Suites It’s a continuing education of styles that span the gamut of furniture, accessories, art, fabrics, and wallpapers. I was basically in designer heaven! 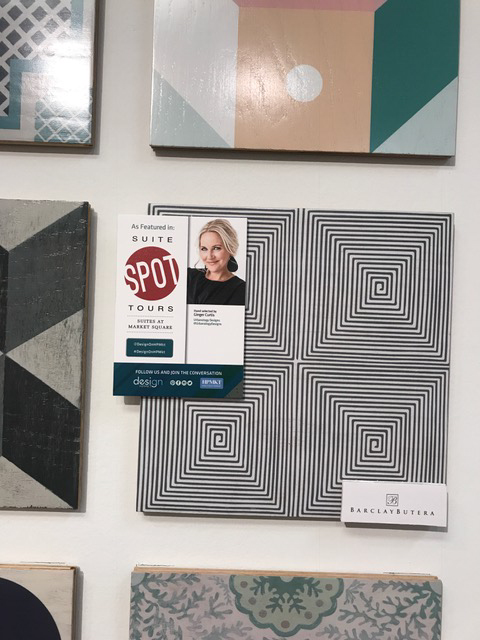 First stop…Mirth Studio, a Charleston, SC based flooring company that makes the world’s first completely customizable printed hardwood floor tiles…ARE YOU KIDDING ME?! These colorful 12x12 tiles come in all sorts of intricate and whimsical patterns that truly look hand painted. The tiles are easily installed right over plywood or concrete—no sanding, staining or sealing. I was sold! This modern black and white one really caught my eye. It would look divine on an accent wall or even on a laundry room ceiling. The possibilities are endless. The brand also includes peel and stick floor decals, peel and stick wall covering and patterned stair risers. My next stop was to Harbour Outdoor. I use the term “outdoor” loosely because these pieces are stunning and are prettily enough you could use them indoors! Clean lines and modern styles blend seamlessly with light wood to give each piece a cozy but modern feel. 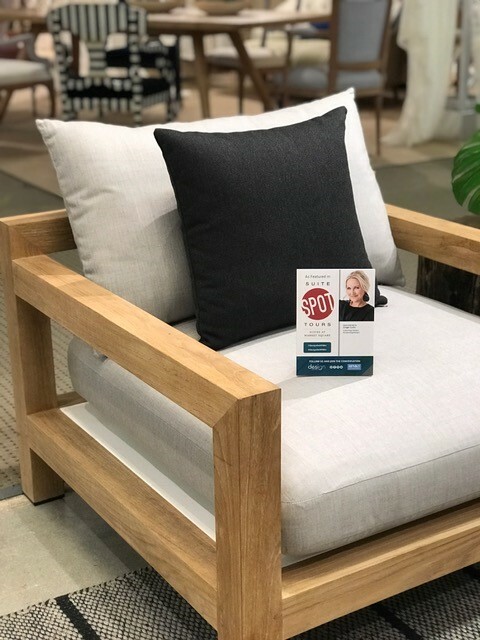 The Pacific Arm chair (shown above) is the perfect combination of comfort and practicality. The frame is constructed from organic Indonesian teak. The cushion is covered in Sunbrella fabric which is amazingly easy to clean yet still soft. I love that it resists mildew, stains and fading. This Australian based company is amazing and I want all their pieces in my house! Then it was on to CHC Art. You guys! This company can take any image of your choosing and turn it into non-permanent "peel and stick" wallpaper! Imagine having the most beautiful mural on an accent wall that is super easy to install (they use a sticky adhesive backing) and reposition. We have used murals in client’s homes in the past so this is a great option for us. 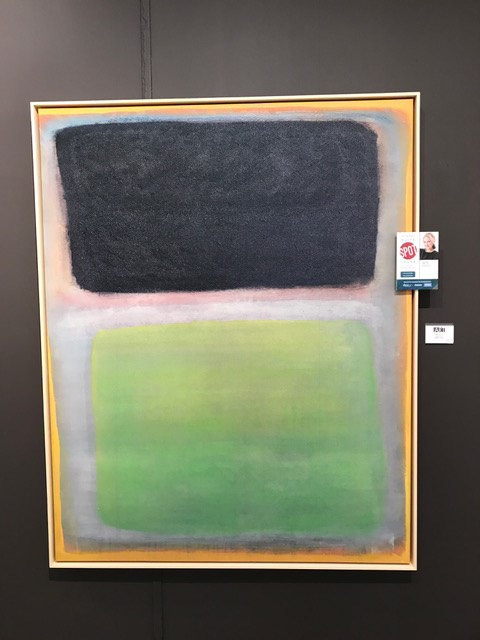 CHC Art also has a massive collection of contemporary, abstract, and modern art and photography. You can view all images at CHCArt.com. Images can be tailored to any size with a wide range of framing options. 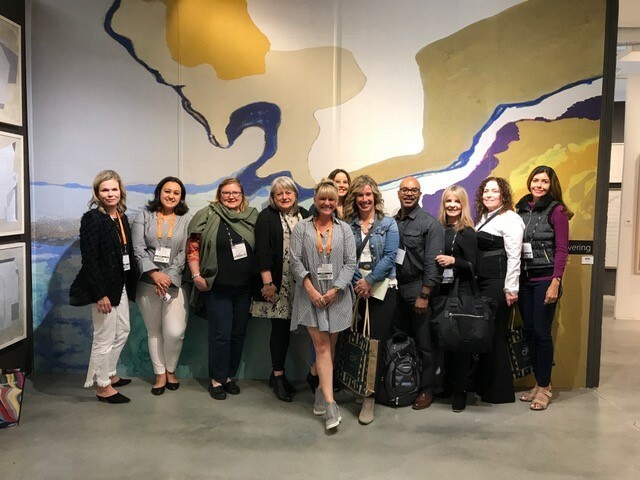 The tour continued at Luxout, a Richmond, Virginia based company that makes incredibly beautiful roller shades and window treatments. Now, you may think…roller shades? So boring! But oh no…this is not your typical sun shade. LuxOut has a huge selection of stylish fabrics to complement any room in your house. They have designer prints (for the living room), room darkening shades (great in the bedroom), moisture resistant prints (a must in the bathroom) and all shades are manufactured right here in the USA. They can also motorize your shade so adjustments can be made with the touch of a button….so cool! I’m very wary about using faux materials for something like wood since there really is no substitute for the real thing. But Neverwood stopped me in my tracks and could not believe the authentic look of their products. Used in the right space this faux wood would look AMAZING! The company offers authentic reproduction of genuine shiplap, barn wood saw mill lumber, poplar bark and stone. Each piece is hand cast and hand finished with high density urethane and a UV resistant, commercial grade paint. We also love the fact that NeverWood is a US based company. They have our stamp of approval! 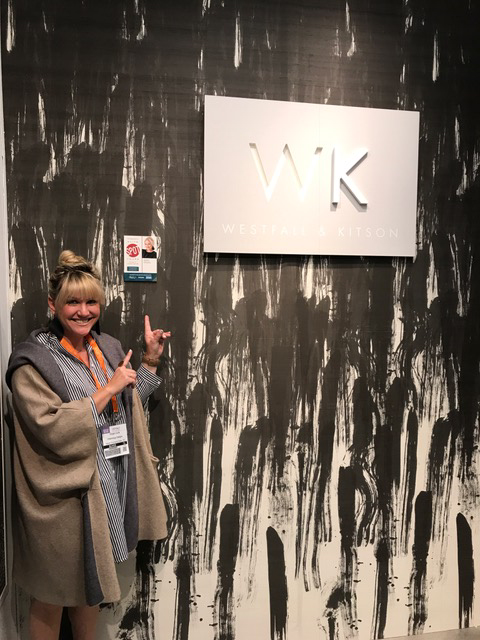 And last but certainly not least was our stop at WK Wallcoverings. These guys are trend-setters in the wall decoration market and I was in awe of all the beautiful varieties, colors and patterns. Just look at that black beauty in the above photo! I can see this being the perfect addition to a hip and trendy office. Wallpaper is BACK and we are super excited about it! What an honor it was to lead this treasure hunt through the Suites at Market Square! We had a blast and I can’t wait for the Fall show to be inspired all over again with the latest and greatest in design!